Sorry, this job expired on Nov 11, 2018. Below are other jobs that may be of interest to you. Harvest Seasonal Grill and Wine Bar offers an under 500 calories seasonally changing, local farm to table menu, 50+ wines by the glass, seasonal cocktails and local beers. Every three months Harvest Seasonal Grill and Wine Bar changes the menu to reflect the change of the seasons. Harvest Seasonal Grill and Wine Bar works with 75 local farmers to source the freshest and highest quality products available. This is an exciting opportunity that will allow you to work with local farm fresh ingredients, experiment with the newest food trends, cook dishes from scratch, help create seasonally changing menus, as well as, be part of a team driven by a positivity, innovation and creativity! If you are looking for an opportunity to be part of a cutting edge concept and have a passion for your craft, this may be the fit for you. Our team is seeking the "best of the best" in the industry as we continue to grow rapidly, with advancement opportunities available. This is a great chance to be part of an awesome team that you can be proud of and truly enjoy, day in and day out! This position is responsible for kitchen staff management, food preparation, food safety, quality and presentation. Supervising food preparation, monitor's food production, sanitation, and safety in the kitchen. Prepares daily food production sheets. Follows recipes/mandates recipe use by all crew members. Analyzing recipes and plate presentation. Drives the execution of superior food quality and standard adherence. Actively involved in all food production areas; teaches menu item specifications. Cost conscious; monitors food production, ordering and waste. Achieves food costs; connects daily cost management with profit/loss achievement. Achieves labor costs; monitors business flow. Enforce the brand by working with the guidelines set by the company. Identifies staffing needs, interviews and selects kitchen members, schedules, counsels and motivates kitchen staff. Minimum of 2 years of supervisory experience. Minimum of 4 years of related experience. Proficient working with details on a daily basis for prolonged periods of time. Sets the pace; demonstrates intensity; maintains a leadership/mentor presence. Harvest Seasonal Grill and Wine Bar offers a seasonally changing, local farm to table menu, 50+ wines by the glass, seasonal cocktails and local beer. Every three months Harvest Seasonal Grill and Wine Bar changes the menu to reflect the change of the seasons. 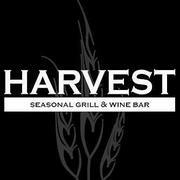 Harvest Seasonal Grill and Wine Bar works with 75 local farmers to source the freshest and highest quality products available. We currently have restaurants in locations throughout Pennsylvania, New Jersey, and Florida! If you are a talented & passionate restaurant professional looking for an amazing opportunity to grow with a successful company, COME JOIN OUR TEAM!